The recording space also plays a role: small, low-ceilinged rooms are better when using an audio recorder. High-ceilinged, large rooms reverberate too strongly and there is a danger that you will record music that sounds metallic and then cannot be processed properly at a later point. Carpeting has a clear advantage over stone or wood flooring and ideally, windows should be covered and made soundproof. And in terms of acoustic noise, when it comes to sound recording, absolute silence is the order of the day. Turn off electronic devices like fridge, lamps and mobile phones and don't forget to deactivate the speakers on your PC or notebook, since feedback noise can be a risk. Control optimum levels during recording, then optimize sound and customize it to your needs, add effects such as reverb or echo – all this can be done with just a few clicks using the appropriate audio recording software. 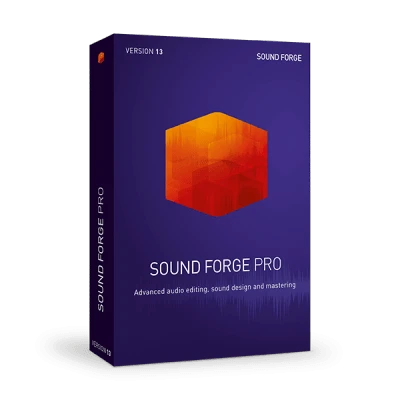 With SOUND FORGE Pro 12, you can simply open a previously recorded audio file in the browser and edit it anywhere. For editing, play back all or part of the recording in SOUND FORGE Pro 12 and optimize it with a virtual equalizer. To do this, mark the position in question with the mouse and select a sound setting. You can then insert effects, move areas or entire recordings or blend them – simply by marking the places and moving the mouse to the desired position or to the selected function. To successfully record and edit audio, numerous criteria play a role. The equipment and recording software used all enable you to get even more out of your audio recording. A high quality recording is key to the process – your recordings can then be edited and transformed into top quality tracks using professional audio software.